The first step in planning a home solar energy system is to determine if your home is right for solar panels. Most people think that their house has to face due south to take advantage of solar power, but most solar panels can achieve 85%–95% efficiency on east and west slopes. Extra panels can also be added to make up for the loss of power generation due to imperfect orientation. Roof slope and material should also be taken into consideration. Lower slope roofs are typically better at capturing more direct sunlight (i.e., when the sun is almost directly overhead) on hot summer days. Generally, the lighter in color your roof surface is the cooler it will stay during the hot months of summer. Because solar panels are slightly less efficient at high temperatures, this will help keep the energy output high on hot days. If you are installing a solar energy system in conjunction with other home improvements or an addition, consider a low-slope, white rubber membrane roof to help maximize the efficiency of the solar energy system. Solar projects have taken off around the United States and the rest of the world in the past few years, partly because of higher energy costs and increases in financing options. Shading is another important consideration in planning a solar energy system. Mounting the solar panels on the roof is often the best way to keep them above the level where they can be shaded by trees or other houses. Even partial shading can dramatically cut the output of a solar array, so it may be necessary to trim or remove trees that might shade your system during peak hours. The next step is to review financing and incentive options. DSIREUSA.ORG is the primary resource for renewable energy and energy-efficiency incentives. The website lists federal, state, and local tax credits, grants, rebates, and even includes utility company offers and incentives. The information is organized by state and updated weekly. Many states offer Solar Renewable Energy Credits, or SRECs, a popular way to offset the costs of installing a solar energy system. Once you have done some preliminary research, contact a local installer. Most installers are happy to come out and analyze your home to see what would be the most efficient type of solar energy system. After an initial site inspection, the installer will put together an estimate and design plan and will often help you to take advantage of the financial incentives. Better yet, get three estimates to know you’re getting the best deal. Solar panels are the primary component of a solar energy system and are available in many shapes and sizes to fit a wide variety of roof conditions. The most important consideration in selecting solar panels is the amount of energy the photovoltaic solar cells can generate. Technology, quality, and age all contribute to the efficiency of a panel’s solar cells. The most common method of comparing solar panels is to consider the cost per watt ratio. Solar panels installed on the roof are the most common, but other options are emerging on the market. Solar shingles, solar roof tiles, or flexible solar sheets that adhere to metal roofs offer additional means for collecting solar energy and generating power. Standard panels can even be installed on a ground-mounted rack. Initial costs for these options may be higher, but they may make solar power work for you and offer a higher return on investment in the long run. The solar panels are typically clamped to rails that are structurally connected to the roof assembly. The design of the rail system should accommodate the best angle for solar collection. The panels are tied together with “plug-and-play” weather-tight connections that form a single energy-generating system. 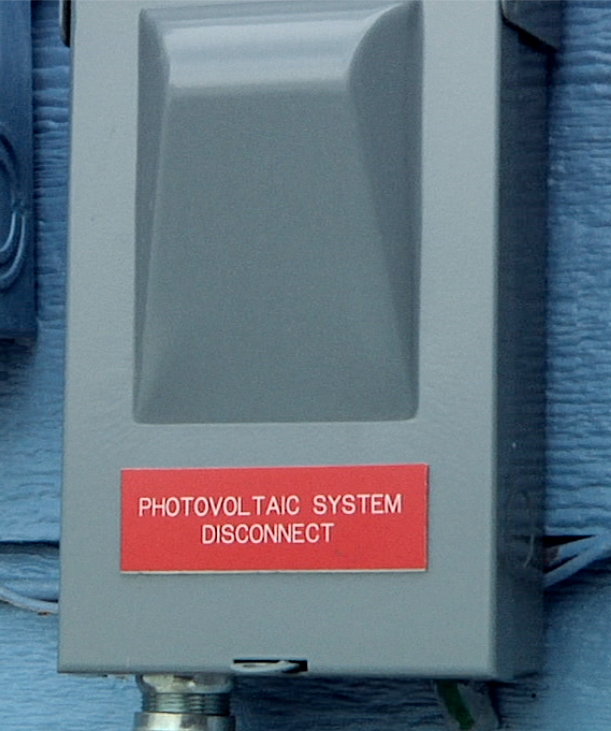 Electrical lines, typically run in conduits, connect the solar panels to the inverter and send the solar energy into the home’s electrical system. 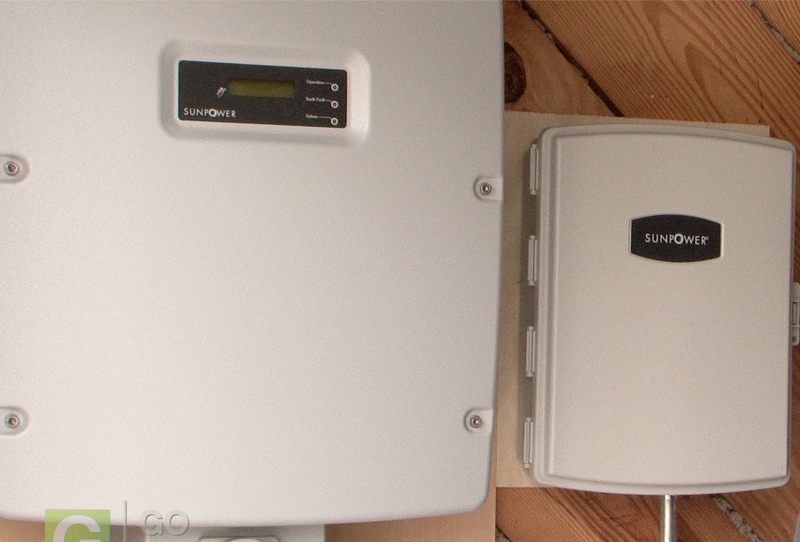 The inverter is the component that converts the electricity from the solar panels into useable energy for the home. Because the electrical energy produced by the solar panels is in the form of direct current, or DC power, and our homes use alternating current, or AC power, the inverter changes the solar energy power from DC to AC. 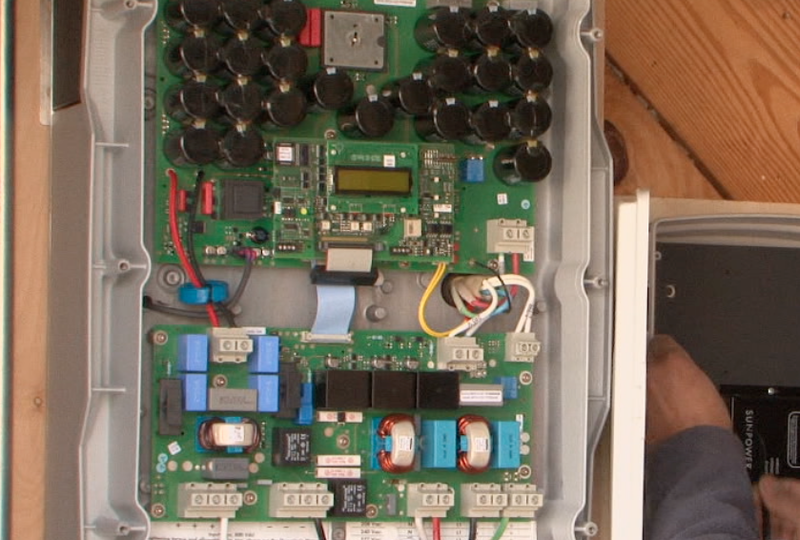 A junction between the solar panels and the home’s main electrical panel, the inverter contains many delicate electronic parts, making it necessary to install it in a dry place. The inverter is generally sized to fit the output of the panels, but it can be upsized if you might add more panels to the system in the near future. Most solar energy systems are installed as grid-tied systems that remain connected to the main electrical grid by the lines that come to your house. Grid-tied systems do not require excess energy to be stored in batteries – you essentially use the grid as a battery. At night or when it’s cloudy, you draw power from the grid. During the day you automatically use your solar power, but when you make more power than you use, you sell the excess to the grid. 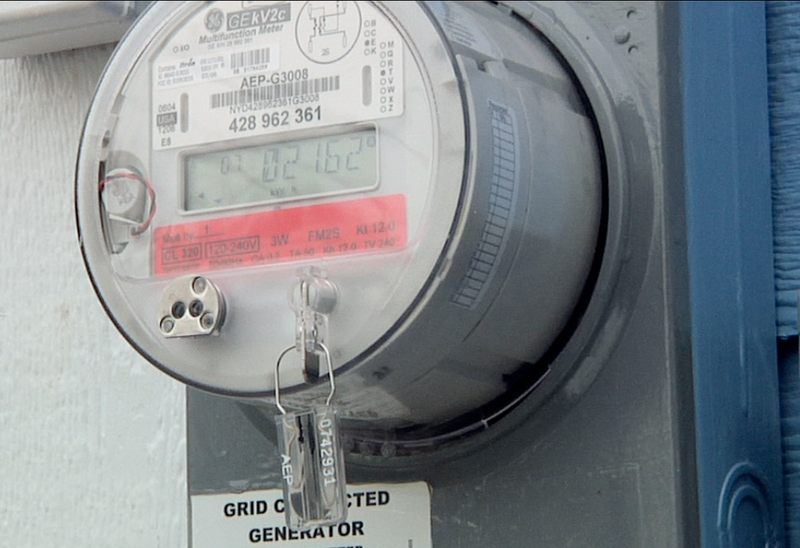 The standard electric meter will need to be replaced with a grid-tied meter that shows two numbers – one is the power bought, and the other is the power sold. Most states make power companies use “net metering,” which means that you get paid the same amount for the excess power you generate as you pay for any additional power you need to buy. A grid disconnect is a shut-off switch necessary for grid-tied systems. Because energy in a “grid-tied” system can flow back into the electrical grid, the grid disconnect allows the electric company to shut off the flow of power to keep electrical workers safe while making repairs during an outage. 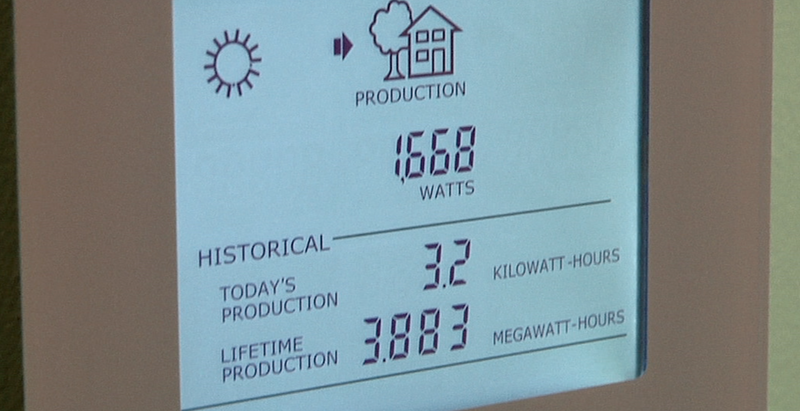 Once the solar energy system is installed, it is a good idea to have a way to monitor how much power you’re making. Most inverters display that information, but many companies offer a wireless monitor that can be installed in a more accessible or visible location. This data can also be sent to the internet, where they can be displayed on a personalized page that shows daily power generation as well as the historical performance of the system. 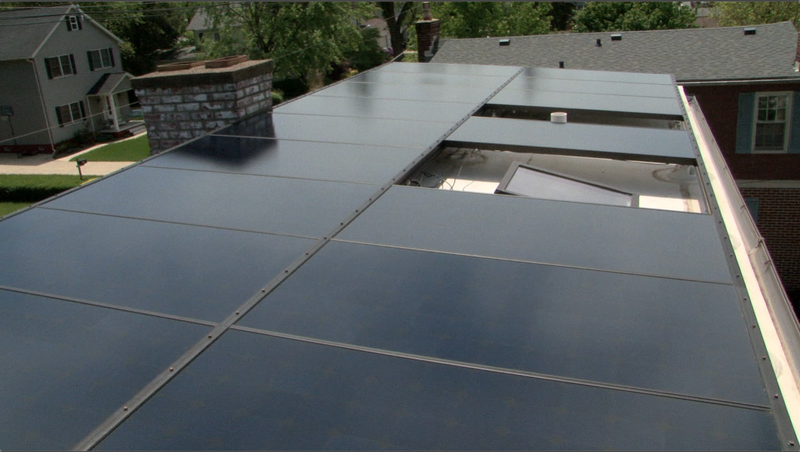 Solar energy systems typically require very little maintenance and will last 25–30 years. An occasional washing of the solar panels to remove any dirt and debris is typically the extent of maintenance required on a solar power system. As with any home improvement, it is important to include your solar energy system in your homeowner’s insurance policy to protect it. If purchasing a solar power system isn’t in your current budget, talk to an installer anyway and ask if they lease solar panel systems. With no up-front cost at all on many leased systems, your new electric bill combined with your monthly lease payment could still save you 20%–25%. Whether you lease or buy, once your system is installed you can just kick back and wait for those cheap electric bills.